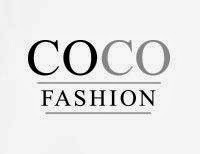 Coco Fashion is an International online shop based on Hongkong They offer a wide array if women clothing’s for retail and wholesale. With Coco fashion you’ll find an extensive selection of Korean, Japanese, Chinese and Hongkong fashion that is reasonably priced. The best thing I observed at Coco fashion is that items are organized Per category so it’s easy for shoppers to search for trends that they fancy. 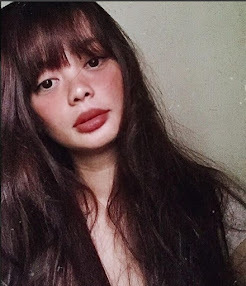 Whether you're the girl who loves punk style or retro or simply just the girly girl like me who loves floral and frills then you'll gonna loveCoco-Fashion. So here are my top Coco-Fashion Picks for autumn. Since I am the typical girlie - floral is the main element in my wardrobe. This orange V-Neck blazer with floral details is just too cute to ignore. It's a perfect topper for a cozy night or a walk on the street. Buy it HERE other colors available are gray and blue. Who says that summer is over? Go shopping with your girlfriends or take your dog for a walk with this floral print Korean fashion short (belt included) and never say goodbye to summer. Get it HERE. Oh my! I honestly have a loooonnng list but I'll be giving you my top 5 pick so you could Explore yours now so visit Coco-Fashion! Nice post. I was checking constantly this weblog and I'm impressed! Extremely helpful information specially the final phase :) I take care of such info much. I used to be looking for this particular info for a long time. Great!! I go and visit the website! If you want we can follow also on facebook, tell me what do you think!